Teams of paddlers, cyclists and runners took to the river and roads around Rochester last weekend as the sixth annual DisasTour race. The triathlon event features a 15-kilometer bike, 12-kilometer paddle and a 9-kilometer run. The event benefits local nonprofits and remembers the 2011 tropical storm Irene. Adam Whitney won the men’s individual race with a finish time of 2:10:07, followed by Kevin Babie and Erwin Lange. Marilyn Ruseckus won the women’s individual race with a time of 2:23:30, followed by Nancy Powers and Tegan Murray. This year, nine teams and 17 individuals completed the race. In the team division, Elliot Ketchel, Justin Beckwith and Andrew Johnson of River Mind Building took first with a total time of 1:50:09. Team Watershed, with members Mike and Angus McCusker and Mike McDonnell were in second with a time of 1:51:40. Team Sports Connection took third with a time of 1:58:07 thanks to the efforts of Kevin Bessett, Clyde Yamel, Mike Malley and Sara Dunham. 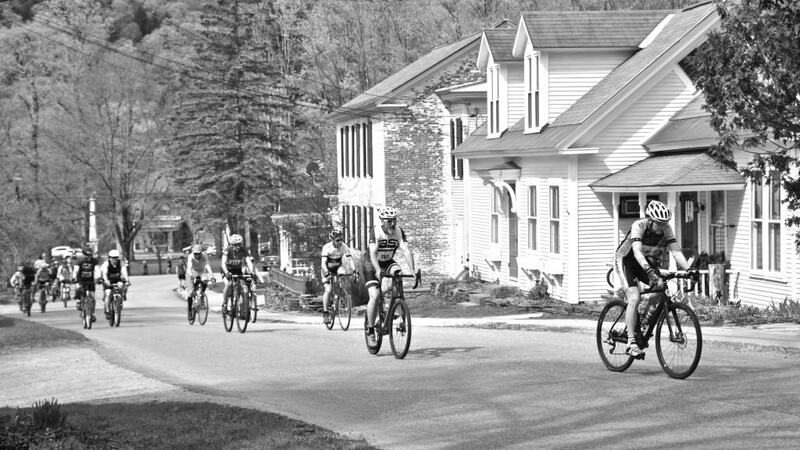 Competitors take to the course in the sixth annual DisasTour race Saturday, April 29, in Rochester.